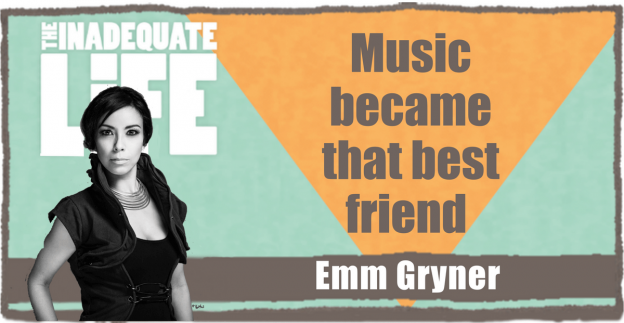 Emm Gryner has found the sweet spot between being an independent artist and raising a family. In her early 20s Gryner had a hit song on the radio, toured with David Bowie and then transitioned to a successful career as an independent artist. Her writing has been praised by the likes of Bono and we discuss how a songwriting contest led to a radio hit for Gryner. We also explore the difference between writing a “hit” for radio and writing to explore one’s personal feelings. Gryner was the driving force behind Chris Hadfield’s recording of Bowie’s “Space Oddity,” in outer space, while he was the commander of the International Space Station. Recently Gryner ventured into the world of musical theatre performing in “Joni Mitchell: River” with Louise Pitre and Brendan Wall. The challenges of musical theatre were new for Gryner who was more accustomed to performing in concerts. But Gryner explains the inspiration she drew from Greg Lowe, who went on to play on Gryner’s upcoming album. Watch for Gryner’s upcoming project “Only of Earth,” an 80’s synth-pop and 70’s classic rock-infused album. Check out episodes that also mention Business, Grand Theatre London, Musical Theatre.